Samantha—the fashionable wife of a successful businessman and doting mother of one—struggles to negotiate the spheres of intimacy between her husband and her family of origin. Samantha loves her husband, Richard, and she loves her sister, Elizabeth. But the two of them can barely exist in the same room, which has caused the entire family years of emotional distress. Yet it’s not until Samantha’s sister is diagnosed at age forty-three with lung cancer that her family and her marriage are tipped into full-blown crisis. 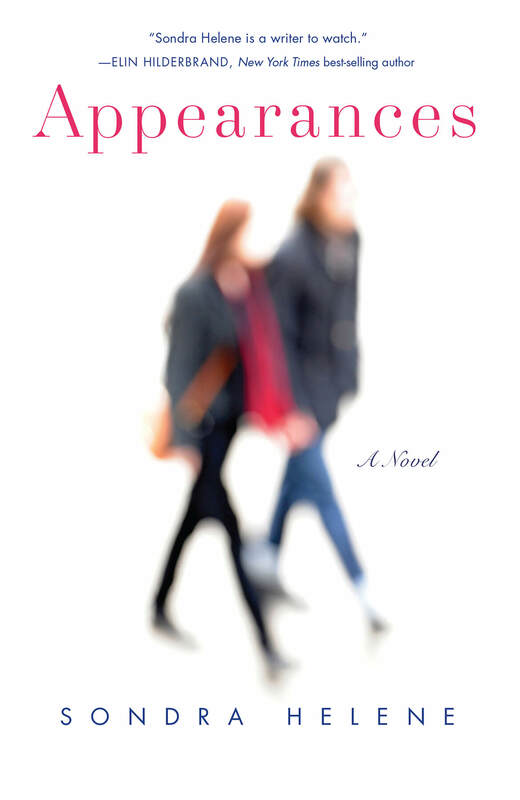 A story of love, loss, forgiveness, learning to live with grief, and healing, Appearances will resonate with anyone who has ever experienced tension in their familial relationships—even as it serves as a poignant reminder that no amount of privilege can protect us from family conflicts, marital difficulty, or mortality. Appearances gets to the heart of what happens when illness interrupts the good life of a seemingly close family: it strains the bonds of a fraying marriage and tests the love of two impossibly close sisters: one sick, the other trying to prepare for life without her. A tense and moving drama about loss and love and what matters most. “Sisters,” the old Irving Berlin song, winkingly covers primal themes of romance and family; this novel tackles them with detail and realism…and makes quietly clear how precious any extra time with a loved one can be. Sondra Helene captures the fragility of human relationships, in all their forms. How brief we are here, how complicated, and how little time there is to put on pretense. Appearances is a powerful first novel that is for any woman who has struggled with the complicated roles of sister, wife, mother and daughter. Sondra Helene is a writer to watch.